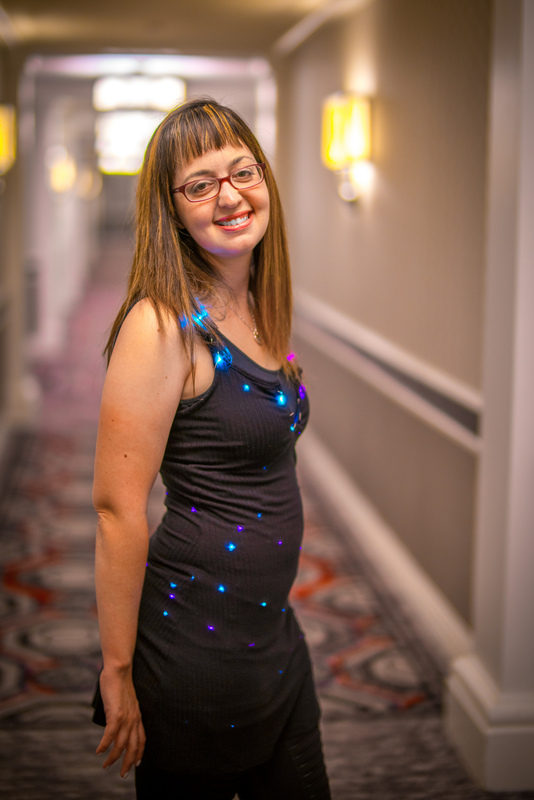 When You Need the Perfect Dress for Defcon #WearableWednesday #wearabletech #Defcon #DIY « Adafruit Industries – Makers, hackers, artists, designers and engineers! Roxy Dee (@theroxyd) wanted to do something different for Defcon 25. Although she is usually all about infosec, she decided to transfer her tech love to fashion and created a Cyber Dress. Of course like most preparations go for cons, there was very little time, so Roxy opted for a simple hack to a lace-up style black dress. 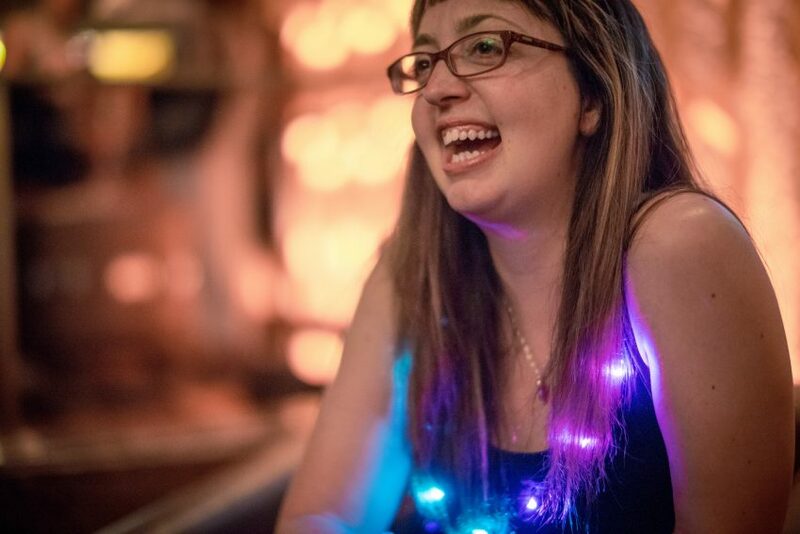 She used fairy lights, those tiny strands you can find in craft stores, in pink and blue. Weaving them through the holes in the dress led to a cool cross design on the upper body while leftover lights were scattered around the neckline. The light strands have their own battery packs which she concealed in the pocket of some sport leggings. A second tank dress worn underneath helped to prevent possible shorts with the wires. Fashionistas know that the “rule of three” for layering just works. 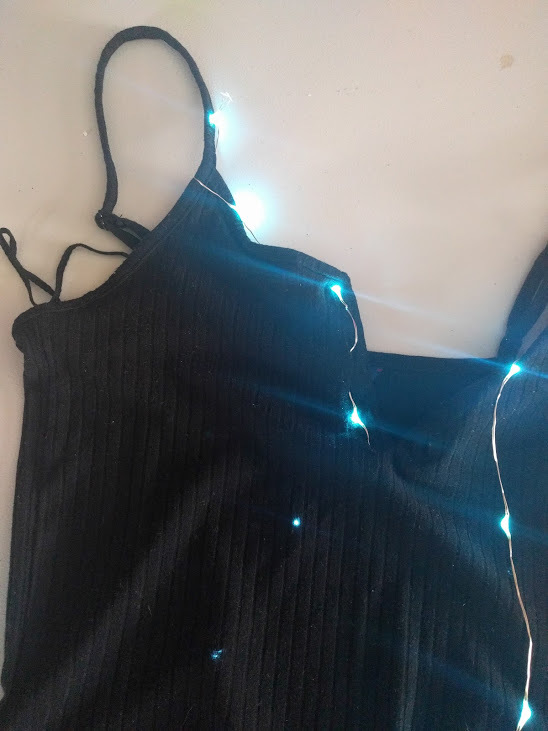 The finished look is perfect for Defcon, whether you imagine the dress to represent the flash of many devices or a starry night. A special shoutout to friend @McGrewSecurity for the fun model pics! I think that’s going to be my new Defcon tradition. I haven’t been to Defcon yet, so I was already plotting with Roxy for next year’s event. Would you like to see a wearables show? Let us know in the comments. 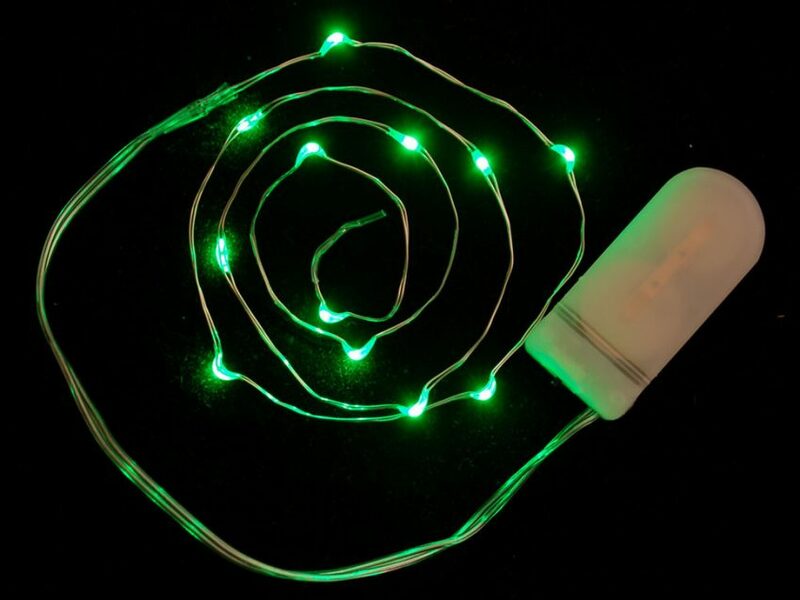 For those that have other upcoming tech events, you can duplicate this fast hack with our Wire LED Strands. Just choose which color you like—strands have a double coin cell holder that will last you about 8 hours. So, get your cyber party started!